Green living isn’t easy. With so many mass-produced conveniences, it’s often hard to know where to start trimming the fat. However, the first step you should take is to use fewer chemicals, and to embrace more natural solutions for your everyday needs. That might sound hard, but in many cases all you need is a few lemons to put your life in order. Getting clean fixtures, especially in the kitchen and the bathroom, can be a huge pain. Worse, it can be expensive as you use one cleaner after another to get rid of the stains and scum that have accumulated over the years. Just take a slice of lemon, and scrub your sink, or your faucets with the fruit part (as opposed to the exterior peel). Rinse, and watch as watermarks and other hard-to-scrub stains wash right down the drain. A dirty microwave can be an eyesore at best, and a health hazard at worst. Scraping off the caked-on gunk can be hard, though. Instead of spraying the interior down with chemicals, put some water in a bowl, and squeeze some lemon juice into the water. Put the bowl in the microwave, and then run it through a 5-10 minute cycle on high. The evaporation will get the lemon right on the walls, break up the hardened mess, and let you wipe it away with no worries about the residues you’re leaving behind. Have you ever unloaded the dishwasher, and then gone through that process of scraping off a fine layer of soap? 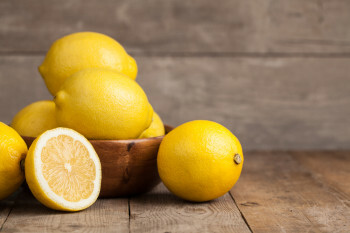 Try adding two tablespoons of lemon juice and six tablespoons of water to Castille soap. The result is clean dishes with no worries about what may still be lurking on them just out of sight. For more green living tips or information about our apartments, simply contact us today!